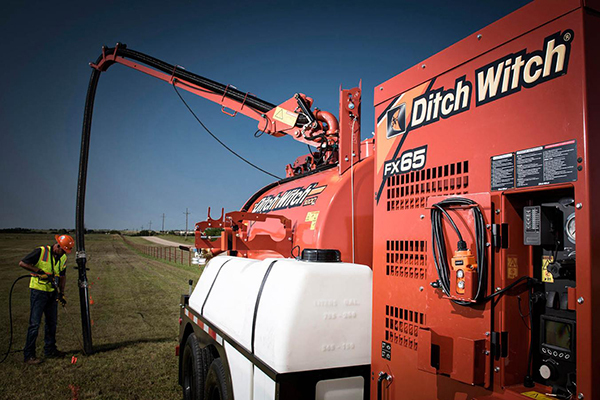 Designed for maximum payload capacity, the FX65 is a proven workhorse that beats the competition, hands down. 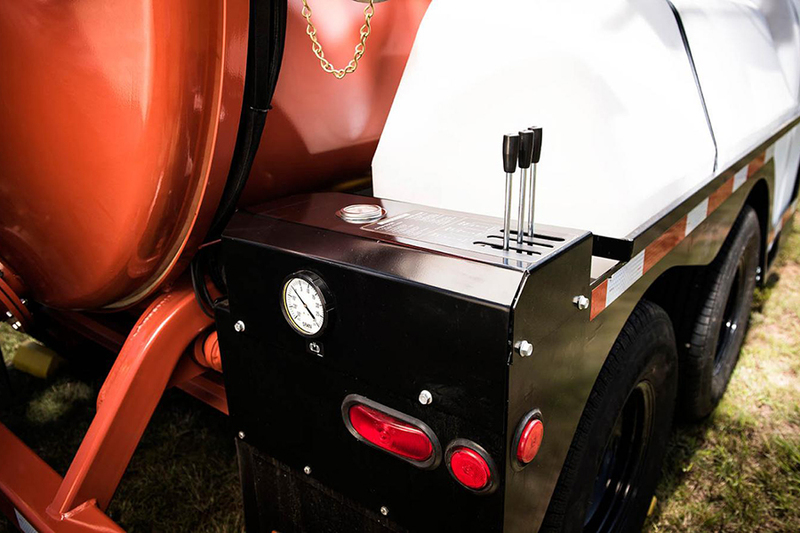 It features a 74-hp turbocharged Deutz® diesel engine, the best horsepower in its class. 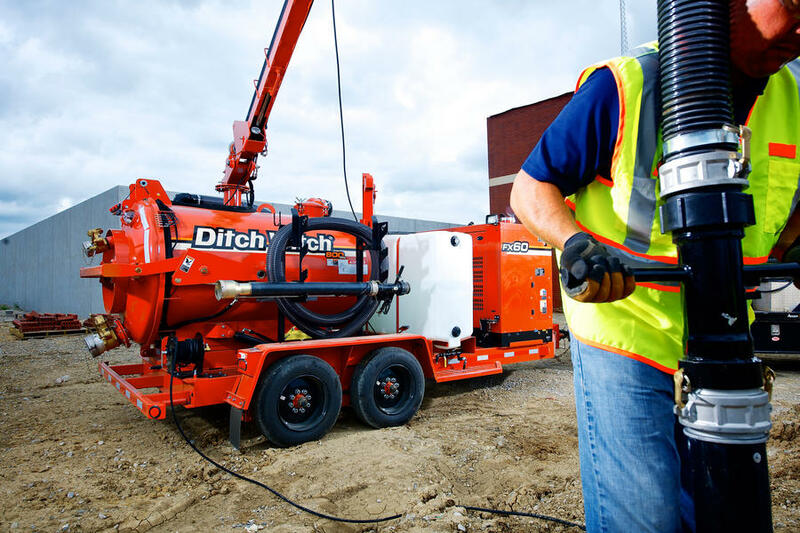 The FX65 also has the highest airflow of any vac excavator at 1,215 cfm, 20 percent more than the next machine on the market. 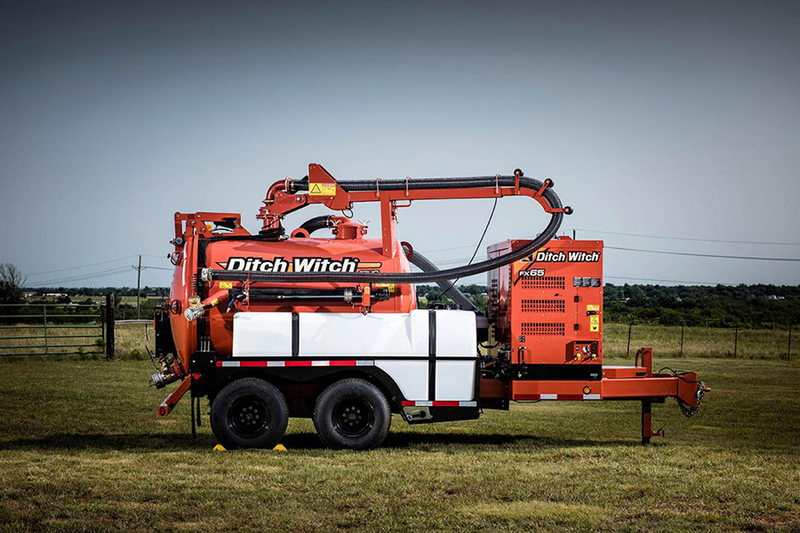 As with all Ditch Witch machines, it’s engineered with productivity and profit in mind. 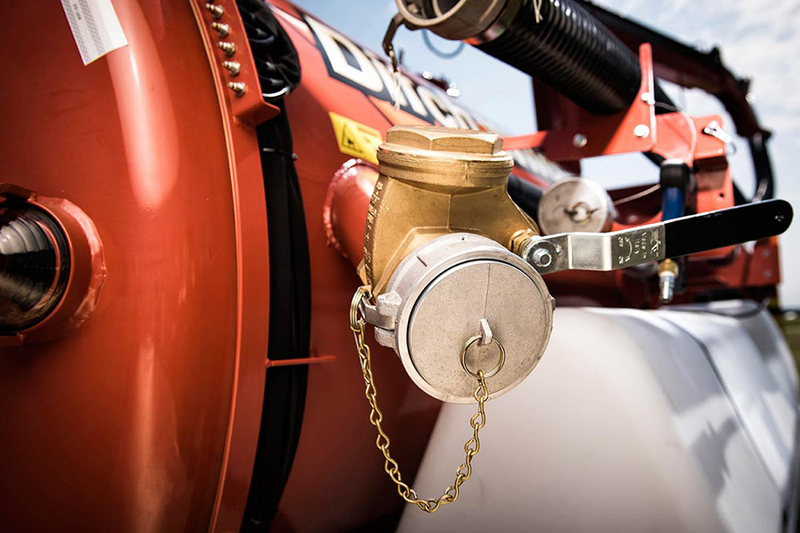 74-hp turbocharged Deutz Tier 4 diesel engine powers the FX65’s outstanding suction and water pressure. 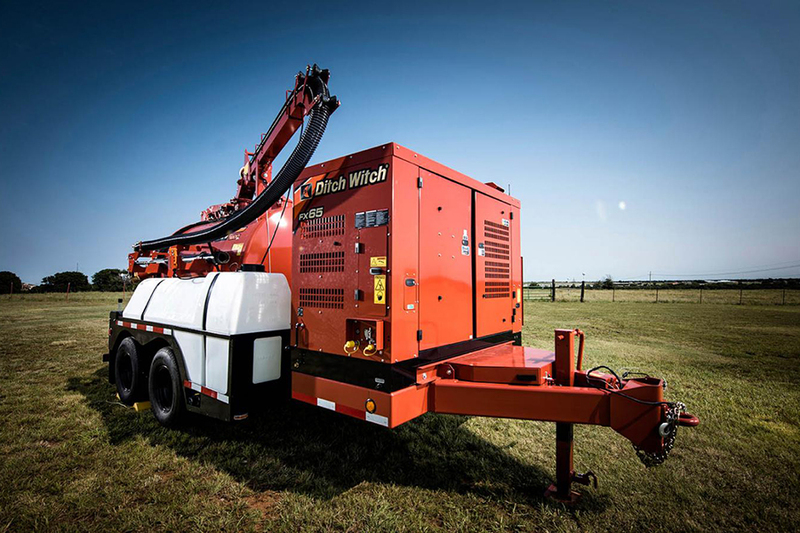 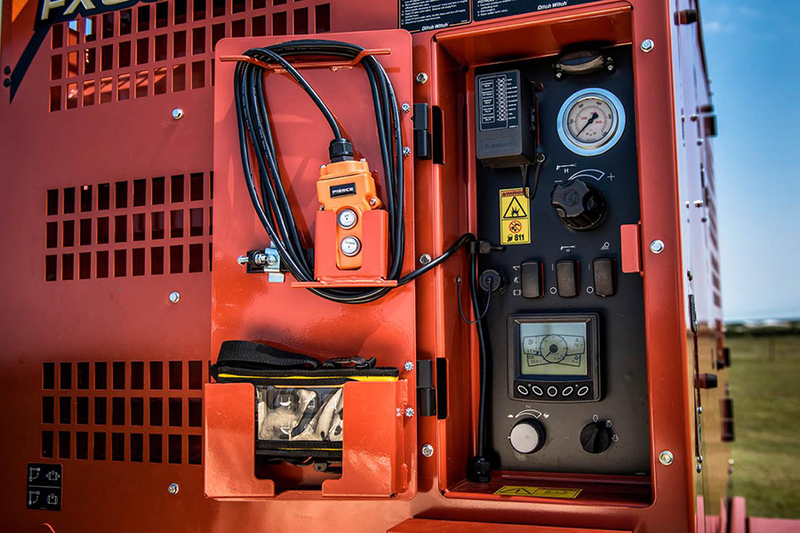 1,215 cfm: highest airflow on vacuum excavator trailer for the lowest investment on the market. 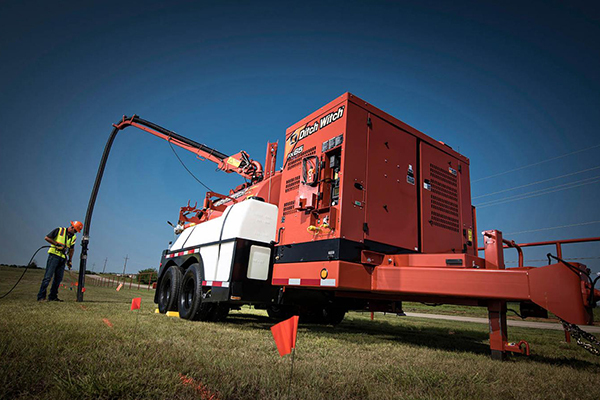 20 percent more performance than the competition. 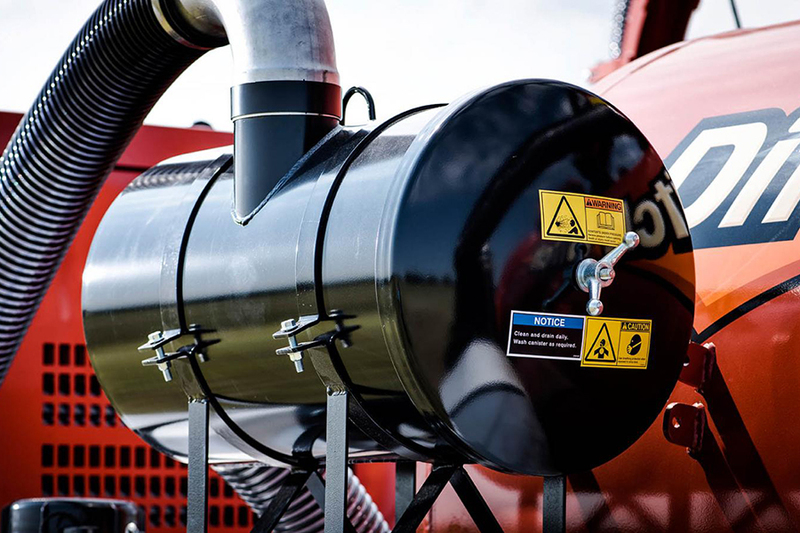 Three stage filtration includes a cyclonic filter which cleans the air before it reaches the filter and a 2-micron washable vacuum filter. 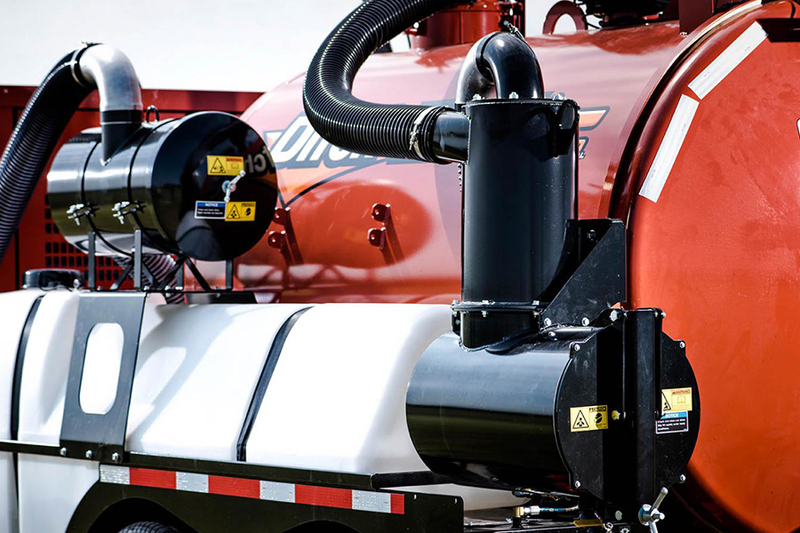 An additional blower relief air filter provides the industry’s best filtration for maximum protection of key components. 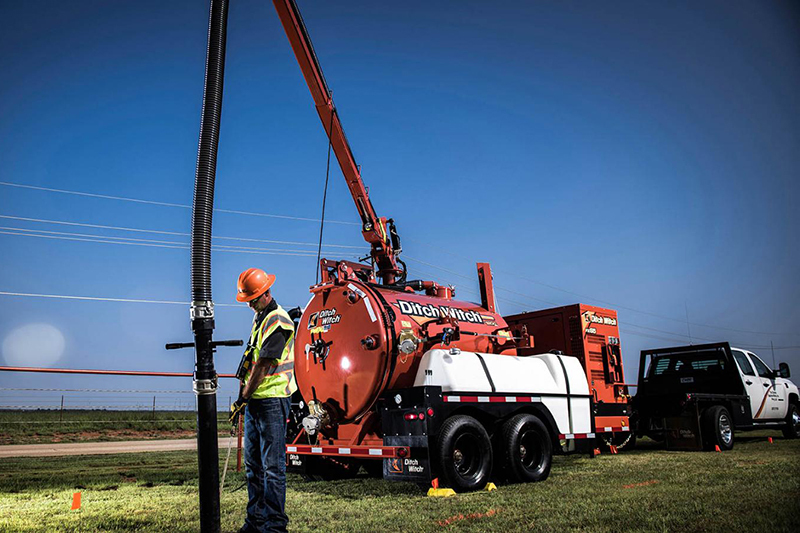 Saddle-style tanks give the 1,200-gallon FX65 vacuum excavator a lower center of gravity and enhance trailer balance. 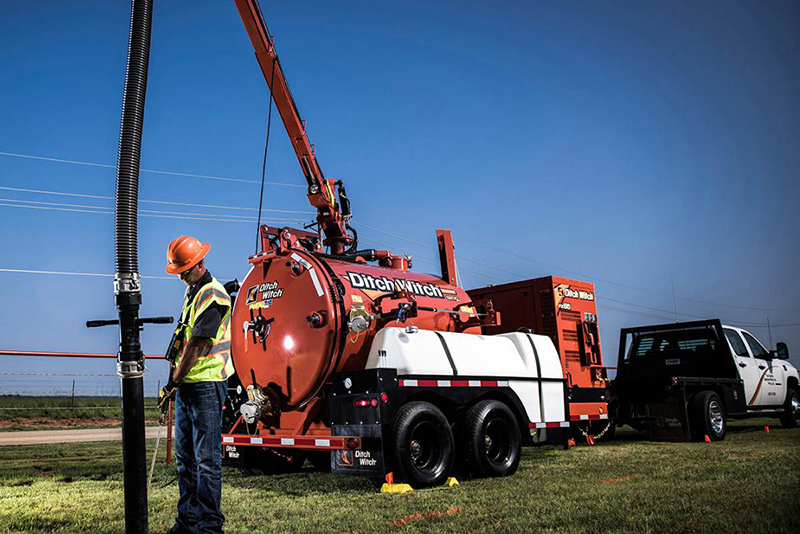 Options include a choice of 500-, 800- or 1,200-gallon vacuum tanks and choice of 200-, 300- or 500-gallon water tanks to meet the requirements of virtually any size job. 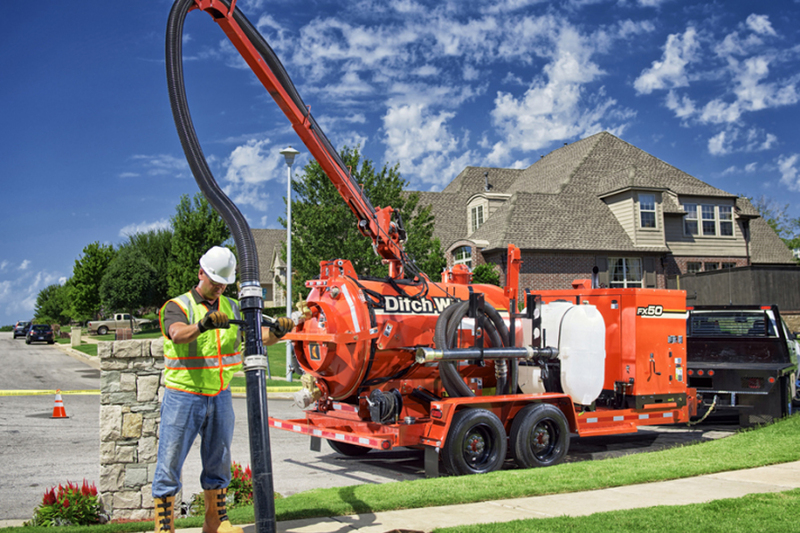 High-pressure water system with a 5.5 gpm, 3,000 psi water pump; water pressure adjustable from curbside operator’s station. 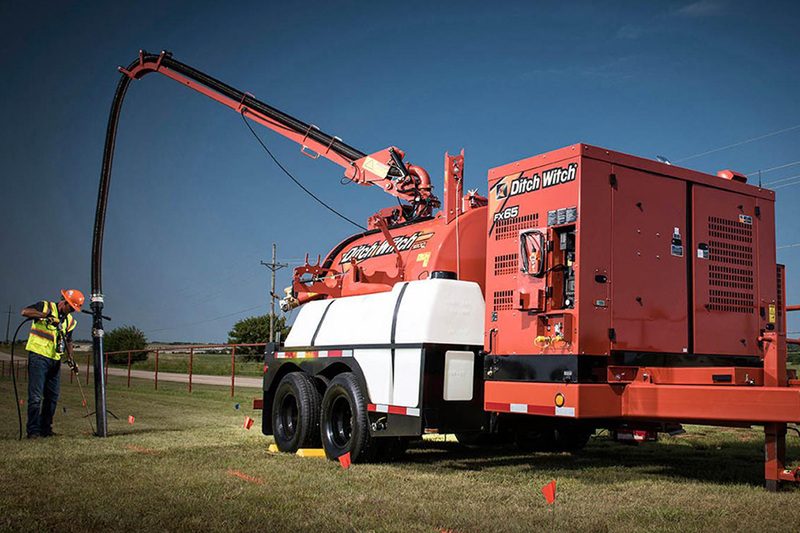 Optional remote control hydraulic boom rotates 270 degrees and extends to 14 ft saves labor, time and reduces operator fatigue.